Greg Docherty may have inexplicably lost his place in the first team at Ibrox, but that didn’t stop the outstanding young midfielder celebrating Ross McCrorie’s equaliser like he’d just scored the goal himself. While most of the bench did react with gusto to the goal, it gives some idea of the importance to Docherty of being at Ibrox, even though he currently has to bide his time playing second fiddle to Jason Holt. 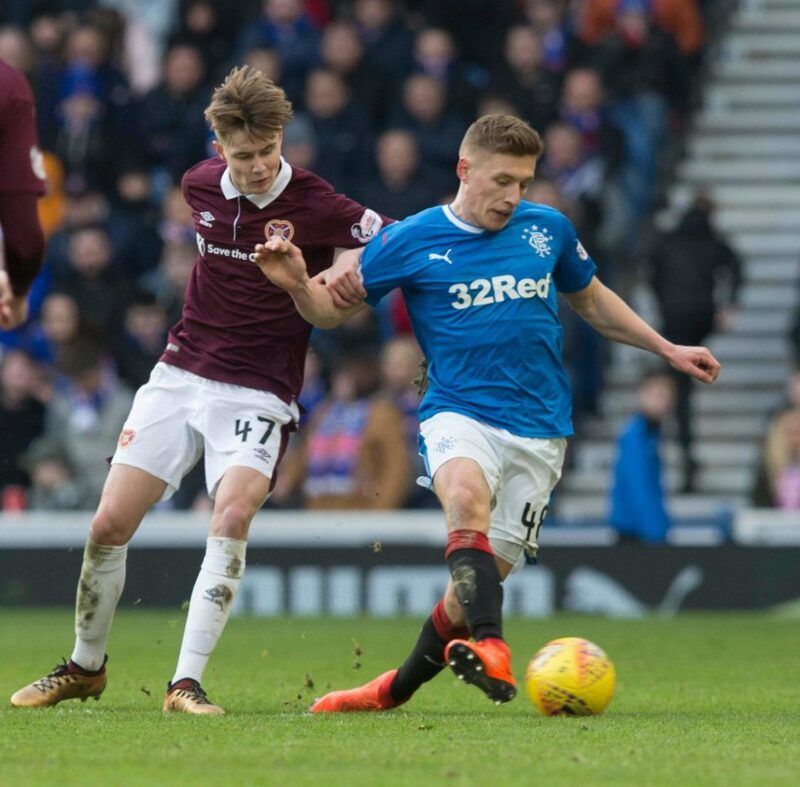 The ex-Hamilton man had a barnstorming start to life at Ibrox, being easily one of the club’s best performers until the Ibrox Old Firm saw him end up partnered with the increasingly ineffectual Graham Dorrans, and his game suffered as a result. But on no planet is Jason Holt the better player. Incidentally, Ibrox Noise was amused to see a comment on the site from a Rangers fan aimed at Docherty arguing he’d been a terrible signing and been awful from day one. Ibrox Noise was even more amused to see another five fans agree with that assessment. Ibrox Noise wonders what they’re smoking. He's going to be a great player for Ger's . Will be back in the team versus Hibs and we need him to be at his best . Need the whole team to be giving 100% in this one . Obviously he will start on Sunday against Hibs. I also hope Rossiter starts in front of Holt. Its Cause Docherty is a True Blue! You’re not smoking anything guys. Holt is a nice guy as is Halliday. No one can question their commitment... at this level though their distinct lack of skill, vision or class means not only should they not be in the first team. They shouldn’t be near the club and I can’t stand anyone who suggests otherwise. Not because I can’t take other peoples opinion but because it means that they have settled for some sort of mediocrity as if it’s acceptable. Our best midfield by a country mile would be Goss, McCrorie and Docherty and as Goss and Docherty both have moments when they like to get forward they should be played flat and cover for each other. I fear we are going to be turned over by Hibs because they will be stronger in midfield and I imagine Celtic will lie down to Aberdeen. Roland, yes, without McCrorie I would like Rossiter to start with Docherty in front of him. Docherty is going to be a great at the Rangers he'll even get a game for Brazil in a world cup final and Mcrorie his captain.